Hino Australia has become the first truck manufacturer in the world to include a digital audio broadcast (DAB+) multimedia unit as standard equipment across its range of trucks. 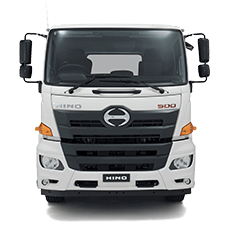 Hino Australia product planning manager Daniel Petrovski said the new Hino multimedia unit was designed and engineered in Australia to suit the needs of local owners and operators. 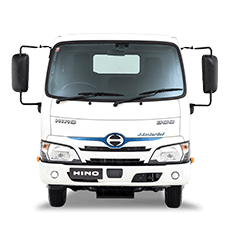 "Hino is very proud of this outstanding new feature," he said. "A truck's cabin is the primary office for many of our customers, so we began looking for ways to improve the efficiency and safety of their working day. "Our all-new in-dash double-din multimedia unit is designed to be user-friendly, feature the latest technology and contribute to vehicle safety with the adoption of rear-view sound-enabled infrared cameras and Bluetooth™ technology. 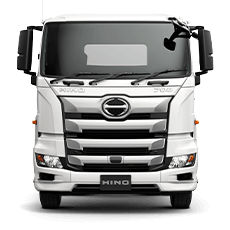 "Not only is this the most advanced multimedia unit ever fitted to a truck, the new Hino unit shames those fitted to the majority of luxury cars," he said. The all-new Hino multimedia unit has both SD card and USB slots to enable full compatibility with the latest MP3, iPod® and digital devices, and has both front and rear auxiliary inputs. 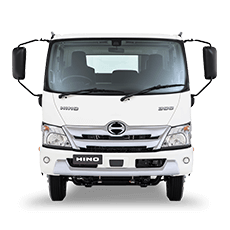 Up to three Hino rear-vision cameras can be installed and viewed on the screen in a variety of configurations (including viewing all three simultaneously in a split-screen arrangement). 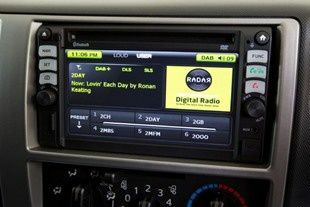 In a world-first for an OEM vehicle manufacturer, the system provides access to both AM/FM radio and the new DAB+ digital radio network being rolled out in major centres around Australia. This arrangement provides the highest sound quality with consistent signal in all but the most remote locations. Mr Petrovski said the optional truck-specific satellite navigation system was developed by a team of electrical and software engineers, and will change the way Australian truck drivers navigate. "The unique Hino navigation system can be tailored to suit each individual truck or load, with the driver being able to input critical data like the truck's height, weight and dangerous goods classification," he said. "The navigation system then calculates a route that's appropriate, avoiding low bridges, weight-restricted roads and dangerous goods-restricted areas, directing the driver in one of 17 different languages. "This unit provides drivers with the best available sound quality, driver safety and navigational ability - reinforcing Hino's commitment to our Australian customers," he said. 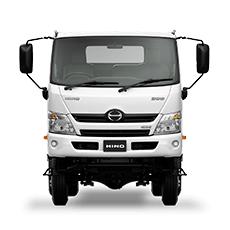 The new multimedia system is covered by Hino's three-year, bumper-to-bumper nationwide warranty.